Guaranteed for relief of tired, aching, perspiring feet, athelete's foot or foot oder. "When your feet hurt, you hurt all over." 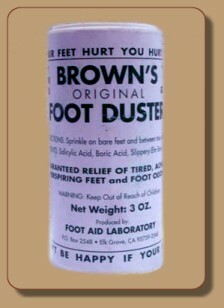 For relief of tired, aching, perspiring feet, athlete's foot or foot odor. 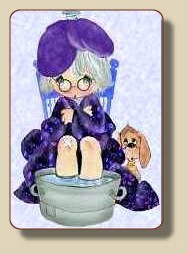 Sprinkle on bare feet and between toes night and morning. 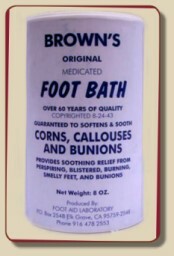 Add 2 Tablespoons Foot Bath to 2 Quarts warm water, dissolve. 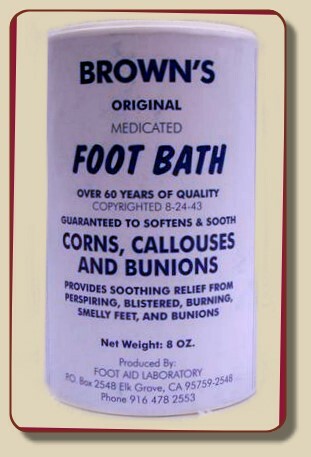 Soak feet for 12 to 15 minutes, permit feet to dry without wiping and while drying rub some of the powder into hard corns or callouses. Repeat application for 2 nights, then use only 1 Tablespoon to two quarts of warm water every other night as long as necessary.